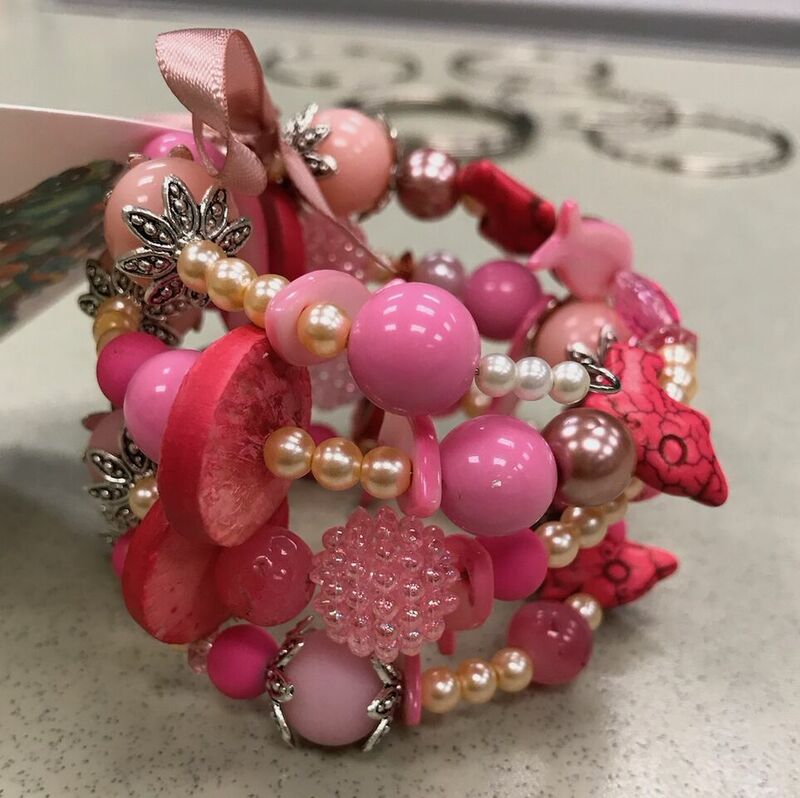 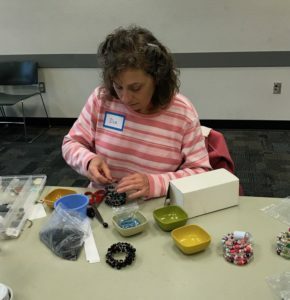 Almost every month Beading Divas to the Rescue get together with our volunteer beaders to make a pile of bracelets in a few hours We call this the beading “bee.” Some groups are quilting bees and others have sewing bees but we have beading bees. There is much conversation and some laughter as women bond over putting beads on a wire to create a wearable piece of art to be used for fundraising. 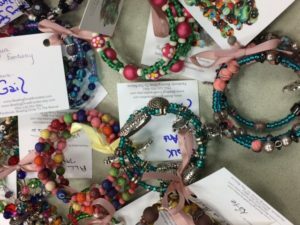 Bracelets are named and tagged and ready for online sales, sold at Clues Unlimited Mystery Bookstore and Silver Sea Jewelry, and an assortment is given to the monthly recipient to sell if local to Tucson.